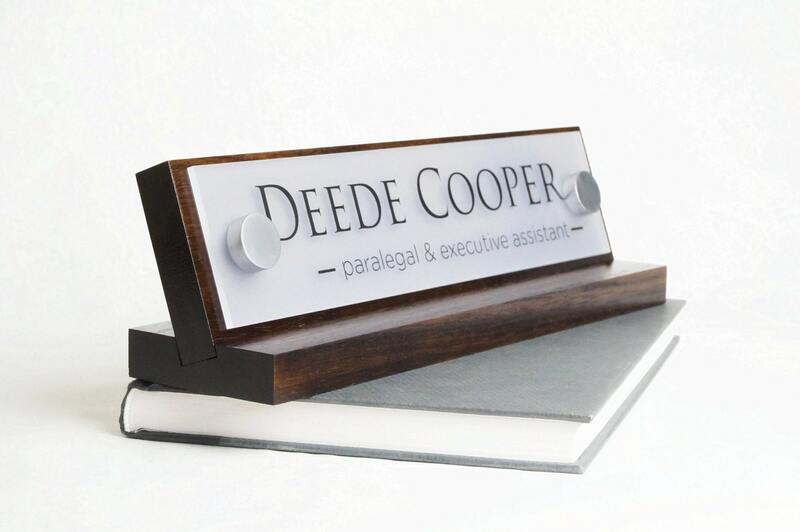 GaroSigns unique Desk Nameplate – A true mark of the business professional. This personalized desk sign has a glossy ESPRESSO finish being made from natural walnut which is traditionally used in high end furniture and décor. Walnut’s qualities of exceptional hardness combined with its attractive natural espresso color makes it a perfect wood for our collection of upscale nameplates. Make sure to check our homepage for current SHIPPING DEADLINES during the busy Christmas season! *Considering a multiple item purchase? We offer competitive prices for bulk ordering! YES! We also do LOGO's. -Shatter resistant fogged acrylic glass mounted with decorative brushed aluminum standoffs. 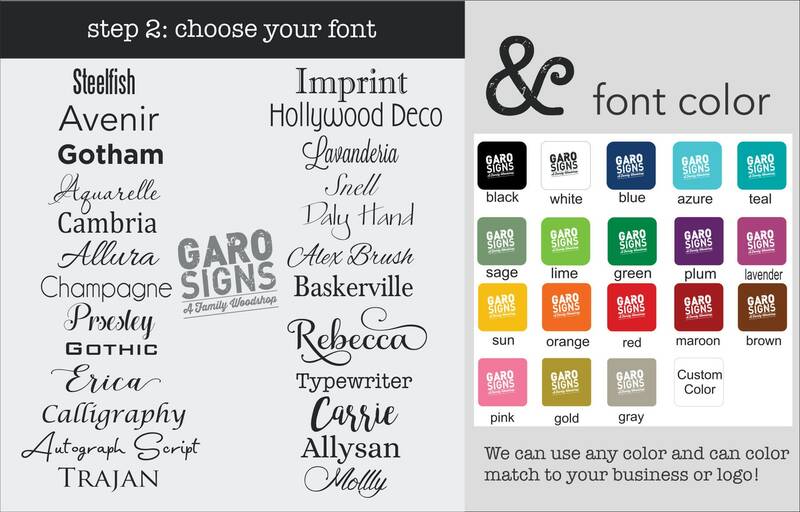 We respond quickly to e-mail and will keep in touch until your order is received and we’re looking forward to working with you in creating the perfect office sign your co-workers will envy. 3. – We’ll work with you to create a proof and once approved we’ll ship it right out! 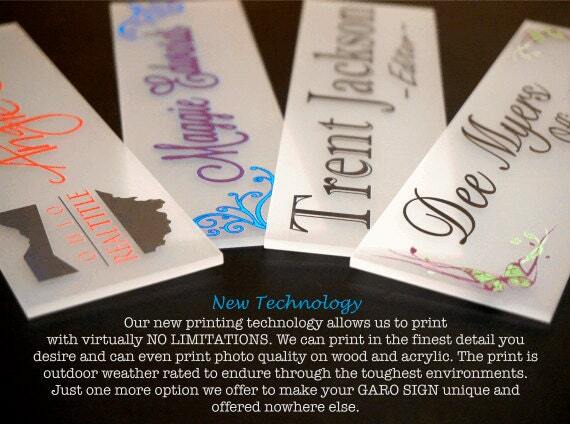 This was the second time using Garo Signs for a gift for someone else. They were fast, responsive, reasonable price, fast shipping, and a quality product! The sign looks perfect! Exactly as I was hoping for.